Family like, very friendly staff. The gathering room is very cozy. Breakfast is a plus. 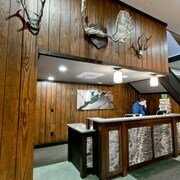 The kitchenette , and the size of the unit ., as well as the hotels closeness to Killington resort, all stand out . The price to stay is also reasonable for the area.our room was attended to each day, and breakfast was sufficient. Where to find Killington hotels near an airport? Where can I find hotels in Killington that are near tourist attractions? 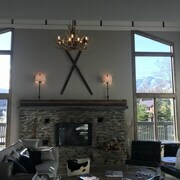 If you are looking for budget or luxury long-stay or short-stay accommodation in Killington, it's comforting to know that there are numerous different options. Expedia has no less than 25 places to sleep within a 0.1-kilometre (0.06-mile) radius of central Killington. 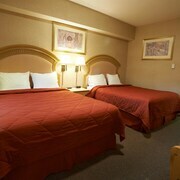 Why not find a bed close to the action in Killington? 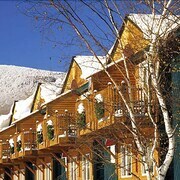 The North Star Lodge and Resort and Killington Center Inn & Suites can be found 1 kilometre (0.6 miles) of the town center. For a place to stay that is located in the area around the Killington Ski Resort, check out the Killington Grand Resort Hotel or the Mountain Green Ski & Golf Resort. The Killington Grand Resort Hotel is 1 kilometre (1 mile) away and the Mountain Green Ski & Golf Resort is 1 kilometre (1 mile) away. If you have very few wishes and are looking for mid-range or low-budget Killington hotels, we also have quite a few affordable places to consider in the vicinity. The Greenbrier Inn is 2 kilometres (1 mile) from the main part of Killington, while the Killington Mountain Lodge is 2 kilometres (1 mile) away. 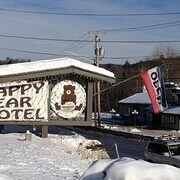 Other options in the lower price range of Killington hotels are the Snowed Inn and the Killington Motel. 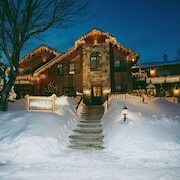 The Mountain Lodge at Okemo Mountain Resort is 30 kilometres (18 miles) from the center of Killington. Or, alternatively, the Jackson Gore Inn is 25 kilometres (17 miles) away. Another possibility is to check out the rates and amenities at the The Andrie Rose Inn or the Kedron Valley Inn. If you plan to enjoy more of the forests and mountains in this section of United States of America, you could plan extra days in other parts of Central Vermont. You could travel to the region's various attractions or go snowboarding and afterwards find a comfortable hotel to stay the night. Why not spend the day discovering Pine Hill Park and Vermont State Fairgrounds, in Rutland, 16 kilometres (10 miles) to the west of Killington. If you'd like to spend a night or two in Rutland, check out the Hampton Inn Rutland and Best Western Inn & Suites Rutland-Killington. 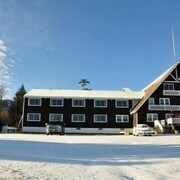 Or stay in White River Junction, 40 kilometres (24 miles) to the east of Killington, where you can pick from the Fairfield Inn by Marriott White River Junction and Holiday Inn Express Hotel & Suites White River Junction. While in White River Junction, set aside some time to check out the Main Street Museum and Briggs Opera House. Now that you have learnt a little about hotels and apartments options in Killington, take the time to check out our Killington travel guide for all the latest on ways to spend your time in this part of the world. What are the most popular Killington hotels? Are there hotels in other cities near Killington? 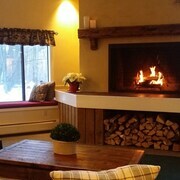 What other types of accommodations are available in Killington? Explore Killington with Expedia.ca’s Travel Guides to find the best flights, cars, holiday packages and more! Flights from Vancouver Intl. to Ninoy Aquino Intl.